Finnleo's Hallmark Series makes owning a personal oasis at home easier than ever. Easy to assemble, yet loaded with upgrades usually found only in designer-type saunas, Hallmark put the opportunity for a daily chance to relax and recharge within reach of everyone. Hallmark is attractive in more ways than one. To the eye, top quality clear Canadian Hemlock inside and out reflects golden light in a warm, comforting glow. The exterior is protected with a biodegradable finish for a luxurious look and ease in maintenance. Interior puck lighting, color therapy lighting system and integrated sound system complete the aura of luxury. But even though you wouldn’t know it by looking at it, Hallmark is well-known as one of the best values in traditional saunas. And its clever hook and pin panel designer means Hallmark is easily assembled in less than an hour. Hallmark saunas come complete with a built-in floor with vinyl surface, which makes cleaning and maintenance a breeze. 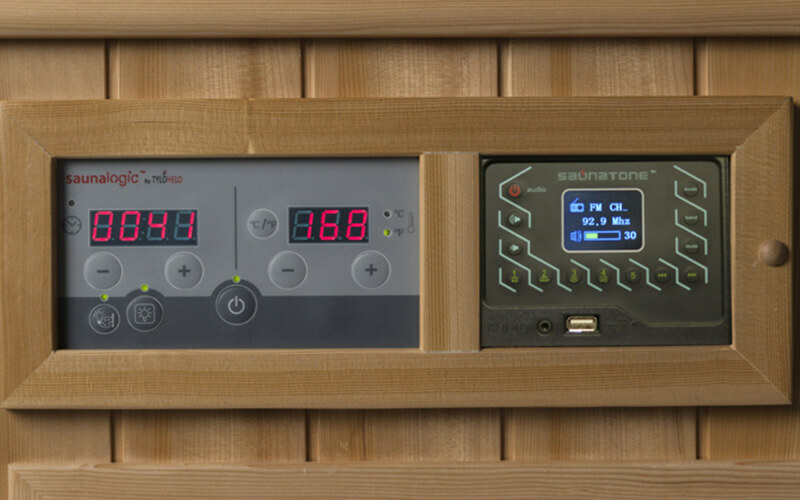 The sauna is powered by stainless steel Finnleo Junior or Viki wet/dry sauna heaters, featuring the dependable climate-creating efficiency you’d expect of a Finnleo. Your comfort is easy to adjust using the intuitive SaunaLogic digital controls. Choose from 5 sizes (4×4, 4×6, 5×5 corner, 5×7, and 6×6 corner). 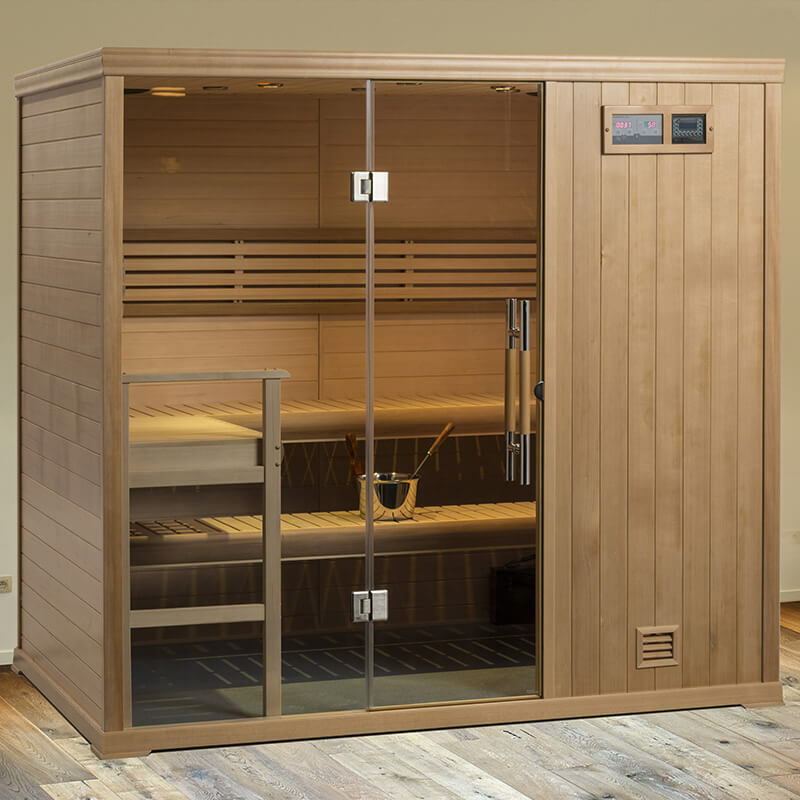 And if you like the idea of being able to take your sauna with you, consider the PS44. This simple 6 panel version is even easier to assemble and take down, yet still boasts all Hallmark features.